They have shared stages with The 11th Hour, Officium Triste, Epica, Lacuna Coil, Trail of Tears, The Monolith Deathcult, Houwitser, Altar, Caedere, Deathsquad, Heidevolk and Izigrim. Their next steps? Playing as many shows this year as possible and recording a new album. Heavy riffs topped with precious melodies and dreamlike scapes best describe Equisa’s signature sound. With small journeys in each ±5 minute song this dutch band tells stories that will attract various fans of heavy, gothic, progressive, pop or symphonic music lovers. The seeds were sown when in 2004 Petra Honing-Struijs (lead vocals) starts to make music with George van Olffen (keys). Joost Maglev (bass, backing vocals) and Sebas Honing (guitars, backing vocals, keys) get together in 2006 and end up in Galanor where Petra joins them in 2008. After Petra and Sebas leave the band in the summer of 2009 they start to work with George and the musical legacy that’s been build up at that point under the name of Turn GPS. When Galanor breaks up in early 2011 they ask Joost to join them. After 2 gigs with Roel van Helden (Powerwolf / Up the Irons) behind the drums the search begins for a permanent drummer and Johan van den Berg is recruited. In the summer of 2011 the name Equisa is born and they start to work on their first EP called Straight Lines which is finished at the end of the year. At the beginning of 2012 and facing stagnation they decide look for a new drummer. Raymond Otterspeer is added to the line-up in Febuary that year and the group starts working on a lot of new material again. After discovering some big differences in hopes and dreams for the band they decide to split with George and carry on as a 4-piece. 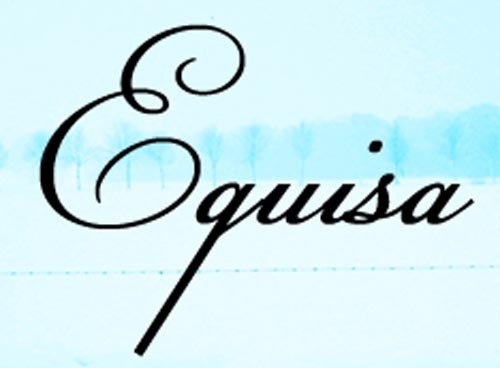 Equisa is currently working on their first debut album and a setlist to start booking shows.